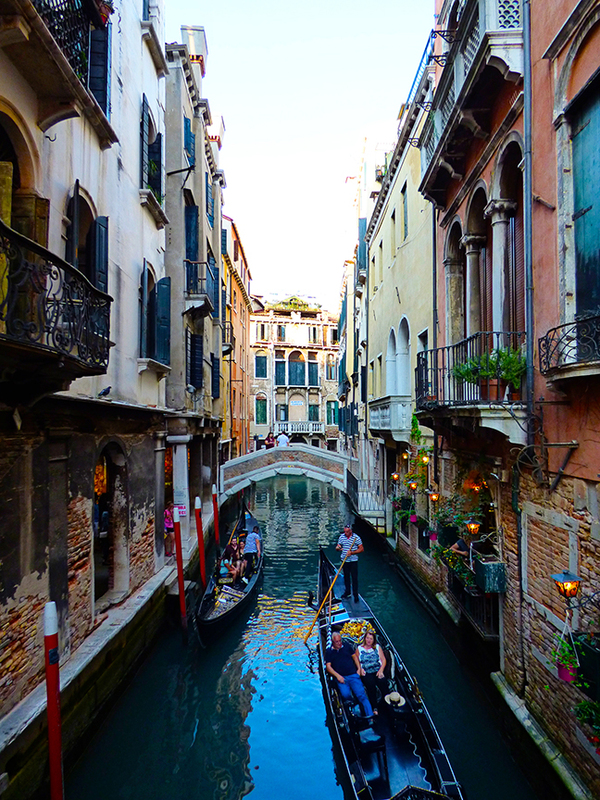 The starting and ending point of our cruise was magical Venice, Italy (Chris' favorite city in the whole wide world). We sailed into port around lunchtime and as the boat passed by the major landmarks we got great views from one of the upper decks. St. Mark's Square and the Doge's Palace from the ship. A little video I shot of our arrival. You can hear the boat destination guide giving a tour over the ship's PA system. Pisa isn't the only city in Italy with a leaning tower! Ha! Chris trying to get every last drop of Redbull. He must have been worn out what with the two straight weeks of adventures! 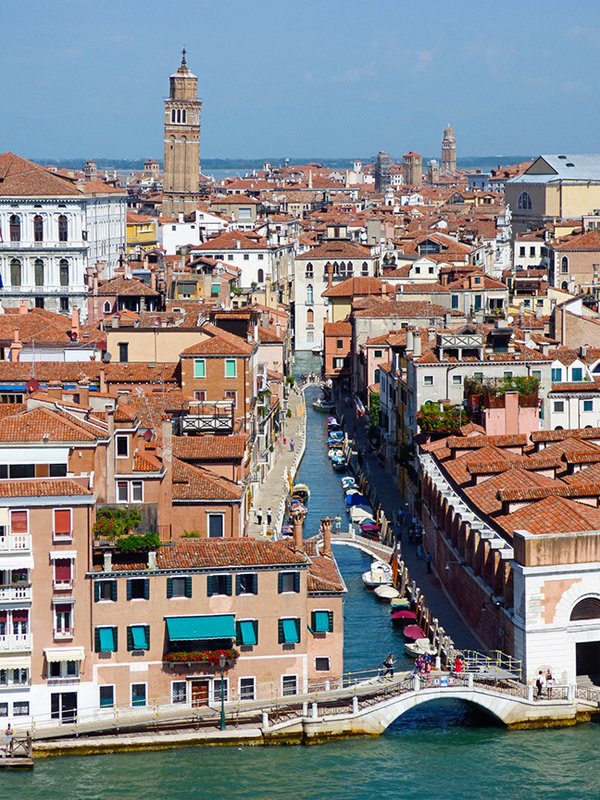 Want a cheap way to get a cruise down the Grand Canal? Just hop on one of Venice's water buses called vaporretos. 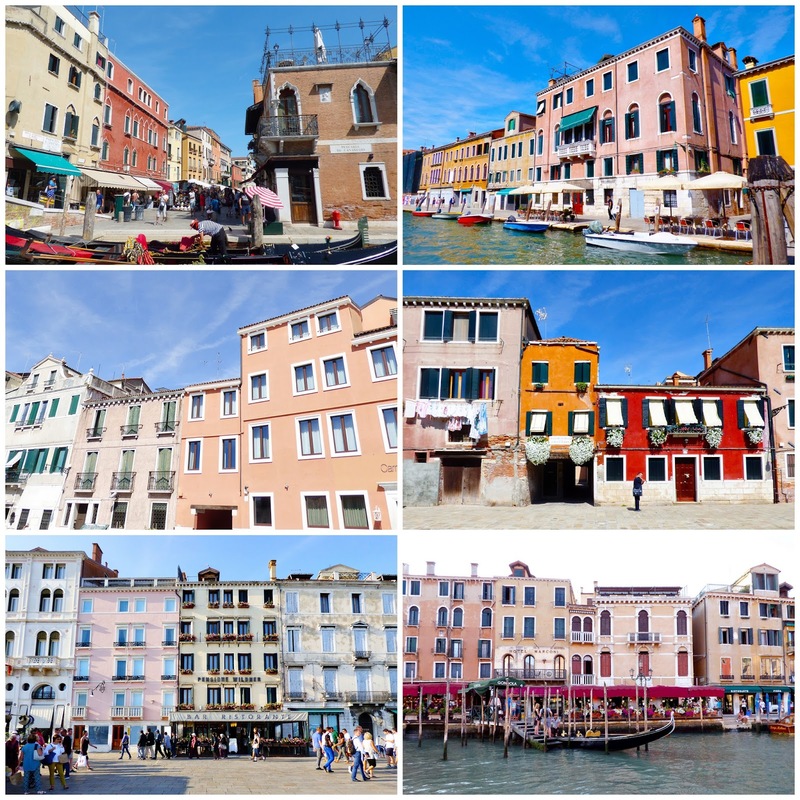 If you want all the historical details and what not about Venice, you can check out our post from the first time we visited Venice in 2013. Palazzo's on the Grand Canal. After we had finished exploring Burano (post coming next! 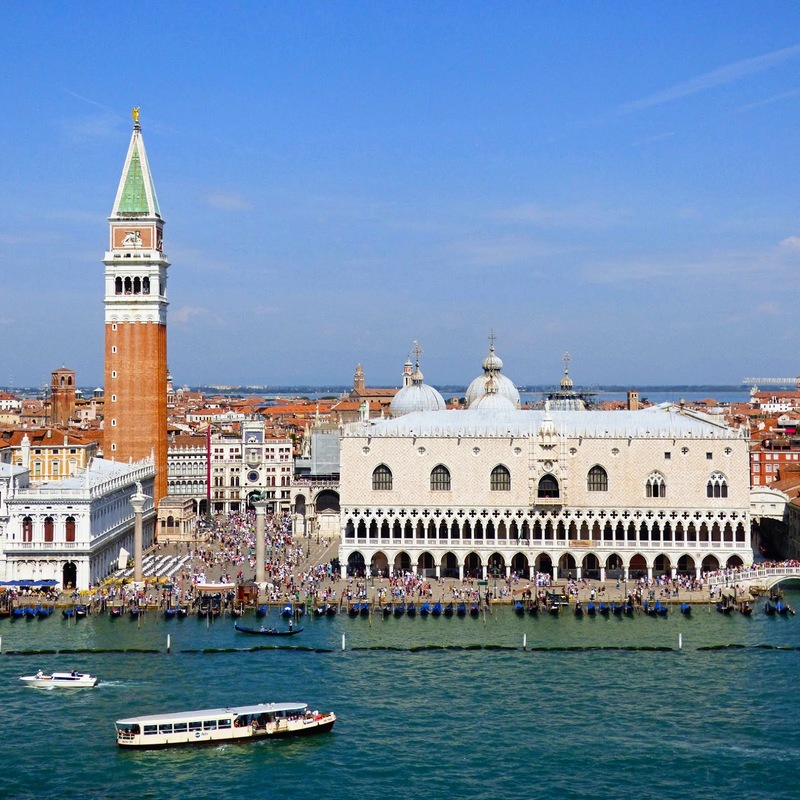 ), we got off the vaporetto near St. Mark's Square. Could this canal be any more Venetian?!? 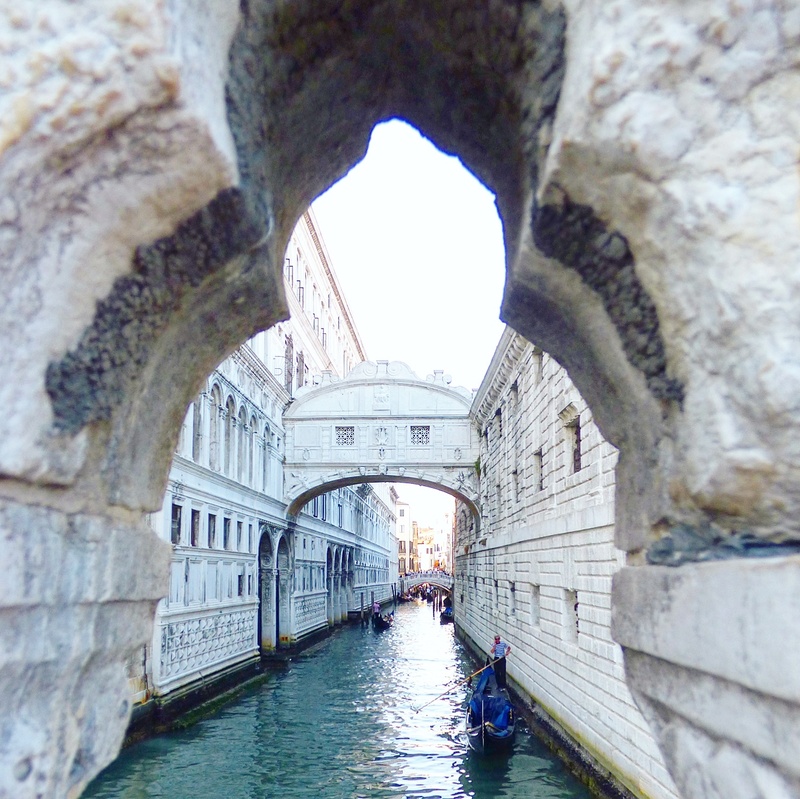 Shot of the Bridge of Sighs through the railing of another bridge. St. Mark's Basilica and the Campanile. Late afternoon in the late summer in Italy. Going under the Rialto Bridge. Pretty last rays of daylight on palazzos. Quintessential example of Venetian Gothic architecture on the Ca' d'Oro. Our very last adventure (hoorah!) for this cruise was the epically colorful Burano! Absolutely breathtaking!!!!! LOVING all the photos!! I believe the closet I will ever come is the Vegas Strip's version :( Love Jane with the pigeons! Tooooooooo cute!!!!!!!!!! Stunning photos! Stunning weather, great sites, good food and great memories. Last time I was in Venice was on my honeymoon....many, many moons ago. Thank you for bringing back so many memories. I love sea travel, but I still prefer the Nordic countries, for example in my past travels I saw this https://poseidonexpeditions.com/ships/50-years-of-victory/ ship, it is just a huge and incredibly beautiful.